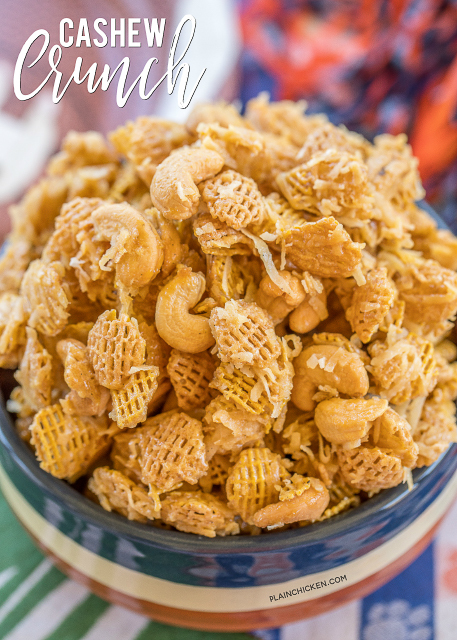 Cashew Crunch recipe - CRAZY good snack mix! Cashews, Coconut and Crispix tossed in a sweet brown sugar syrup. Makes a ton. Great for easy homemade holiday gifts. This Cashew Crunch should come with a warning label! It is HIGHLY addictive!! 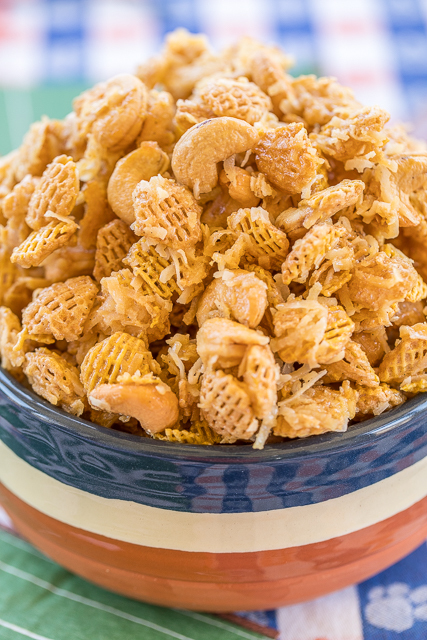 Cashews, Crispix cereal and coconut baked in a sweet brown sugar syrup. OMG! SO good! We could not stop eating this. I had to give most of this away to keep us from devouring it all ourselves. 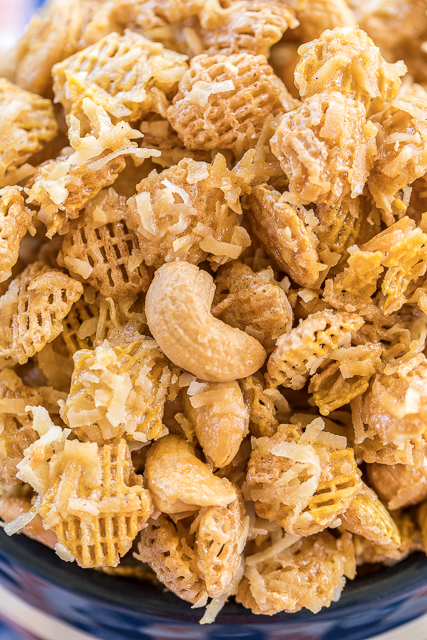 This Cashew Crunch can be made ahead of time and stored in an air-tight container. I would say it should last at least a week in an air-tight container. I'm totally guessing on this because I've never had any in the house for more than a couple of days. 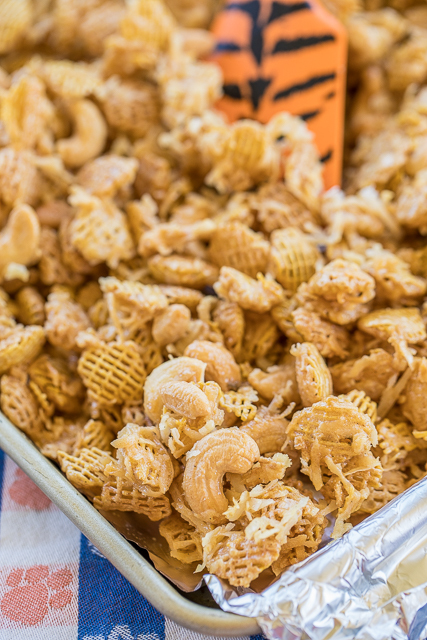 We go through this snack mix like crazy! I am making a batch of this Cashew Crunch to take home for Thanksgiving. It is perfect for pre-meal snacking and watching football games! This recipe makes a ton, so there is plenty for sharing. It would make a great homemade holiday gift! Just divide it up in some cute holiday bags and tie with a ribbon. Perfect! In a large bowl, combine cereal, cashews and coconut. Light or dark karo in this recipe ? Could you sub anything to make this dairy-free and still taste good?? Ok, thank you so much! It looks delicious!! Salted cashews or raw, please? I guess you can leave it out. could you sub honey for the corn syrup? I'm not sure. I've only made this as written above.